to Louisiana, and ultimately to his Dominican Republic home. An incredibly flat-out wrong, fearmongering Politico headline, “Trump Just Getting Started with Immigration Raids,” subtitled “The President Granted Himself Sweeping Authority to Step up Deportations…and he’s poised to use it,” reflects the extent of the hysteria that surrounds the arrests. Being unlawfully present is illegal, a deportable offense and not a directive President Trump just created out of thin air. The Congressional Hispanic Caucus demanded an explanation for what it called “the sweep.” Immigration advocacy groups called ICE agents “rogue” and charged them with arresting non-criminal aliens even though about 75 percent had prior felony convictions that included homicide, sexual assault, and lewd and lascivious behavior. Here are a few things ICE has done in recent days that the media, for the most part, didn’t find newsworthy. First, an ICE investigation led to the arrest of 10 alleged northern California gang members charged with drug trafficking and extortion. Second, ICE turned over Sebastian Medina-Cuabras to Mexican officials. Medina-Cuabras, wanted in Mexico for kidnapping, racked up felony convictions for child abuse and other violent incidents during his years spent in the United States. Third, ICE captured one of its most wanted fugitives, Mexican national Javier Atlixqueno-Vaquero who has convictions against him for sexual assault with a minor, felony sale of hallucinogen/narcotic controlled substances, and felony failure to appear. Fourth, ICE’s Enforcement and Removal Operations (ERO) deported Dominican national Martires Molvan-Figeureo who was once a Dominican police officer. A visa overstay, Molvan-Figeureo is wanted in the Dominican Republic for murder. The estimated criminal alien-at-large population is about 2 million, maybe more. Only 700 were arrested. That means that at least 1,999,300 remain. Trump has promised to remove them all. 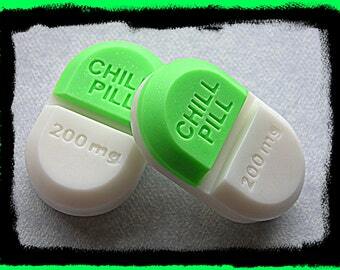 For the media, Schumer and the advocates, chill pill time is at hand.